The University of Southern Denmark welcomed the first students onto the campus in Odense in September 1966, and things have been developing by leaps and bounds ever since. We now have five faculties with more than 32,000 students, almost 20% of whom are from abroad, and more than 4,000 employees distributed across our main campus in Odense and regional campuses in Slagelse, Kolding, Esbjerg and Sønderborg. Several international studies document that we conduct world-class research and are one of the top fifty young universities in the world. 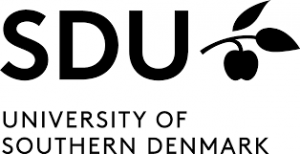 Over the years, the University of Southern Denmark has interwoven many lives. The roughly five years which a student invests in a university education will lay the groundwork for the rest of his or her life. And with around 115 different study programmes in the fields of the humanities, social sciences, natural sciences, health sciences and engineering, graduates of the University of Southern Denmark are now members of virtually every profession in the international community.